To read more about Healing Yourself and Others, The Nature of Illness and the Body's Defensive Systems. Check out our information on Psychoneuroimmunology (PNI) the relationship of mind, body and behavior is crucial to healing our self as well as for helping others who need healing. Life Dynamic Therapy© (LDT) as a therapeutic process or tool for individuals who desire healing of an illness. 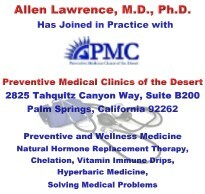 The information in this section is most valuable for those individuals who suffer from an illness which has not been helped or eliminated through use of traditional Western medial treatments or alternative medicine. LDT is directed at healing the cause of your illness and through healing the causes of the illness, the illness itself, can be healed.